The information and images on this page can be freely used to promote my work or programs. Reporters who would like to schedule an interview, I invite you to get in touch via my Contact form. Please provide your title, organizational affiliation, preferred contact method, and any relevant deadlines. I look forward to working with you. 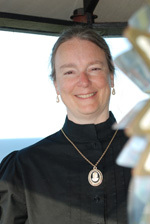 Bestselling author Kathleen Ernst writes award-winning mysteries, historical fiction, and non-fiction for adults and young readers. To date 1.75 million audio, ebook, and print copies of her thirty-seven published books have been purchased. 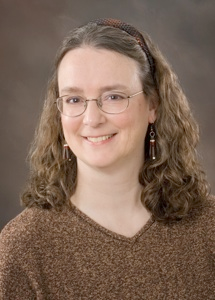 Kathleen's published books fall into three main groups: American Girl mysteries and historical fiction for readers ages 8 and up; Chloe Ellefson mysteries for adults and mature teens; and American Civil War books for adults and young readers. 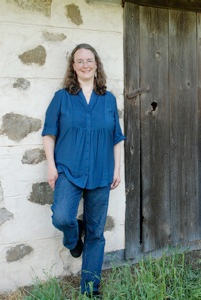 In addition, she has written poetry, a young adult (YA) novel, and a two non-fiction history books. 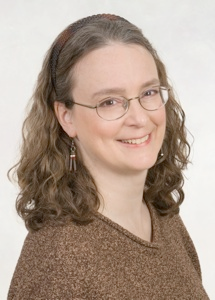 Kathleen's work has earned numerous honors, including an Emmy for educational television, the Anne Powers Prize for Best Fiction Book, an Editors' Choice Award from Historical Novels Review, as well as an Edgar Allen Poe and multiple Agatha Christie mystery award nominations. 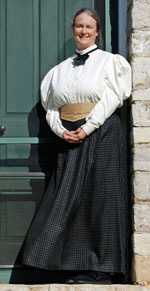 Kathleen is the creator of Caroline Abbott, the American Girl historical character set during the War of 1812, and author of the multiple award-winning series about her. The first book in the series, Meet Caroline, has been in the Top 1% of US printed book sales for over 1,000 days (source: Nielsen BookScan). The seventh, Traitor In The Shipyard, was nominated for an Agatha Award as Best Traditional Children's Mystery. Kathleen's newest is, Gunpowder and Tea Cakes: My Journey With Felicity, released in February, 2017. It is Kathleen's twentieth book for American Girl. 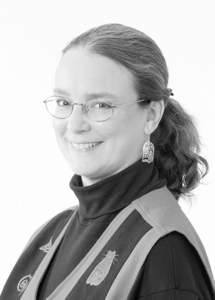 Kathleen created and writes the award-winning Chloe Ellefson Historic Sites mysteries published by Midnight Ink. The eagerly awaited tenth book, Fiddling With Fate, arrives in September 2019. The ninth, The Lacemaker's Secret, earned this from Kirkus Reviews: "In this heartfelt tale of labor and love, Ernst produces one of her most winning combinations of historical evocation and clever mystery." Each of Kathleen's published Chloe books has been ranked in the Top 1% of all US printed book sales (out of 8 million tracked) for over 150 days to date (source: NPD BookScan). Kathleen has written five historical fiction novels for young readers, and one non-fiction history book for adults, about the Civil War. 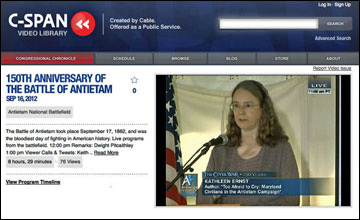 The latter, Too Afraid to Cry: Maryland Civilians in the Antietam Campaign, earned her a National Park Service invitation to speak at the ceremonies (live on C-SPAN) marking the 150th anniversary of the Battle of Antietam. 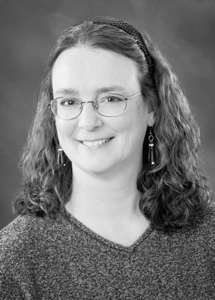 Kathleen lives in Middleton, Wisconsin, with her husband Scott (AKA 'Mr. Ernst') and Eliza the feline muse. She has called the Badger State home for nearly four decades. 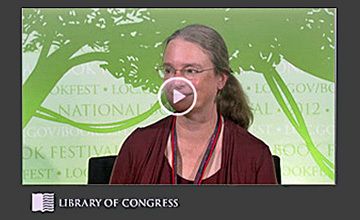 She grew up in Maryland, in a family that considered books as fundamental to life as food and water. She started writing as a child and never stopped. Today, she finds researching books as much fun as writing them, and loves hearing from and meeting readers most of all. Kathleen earned a B.S. degree in Environmental Education from West Virginia University and a M.A. in History Education and Writing from Antioch University. 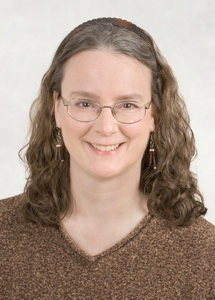 She spent over a decade working as an educator and curator for the State Historical Society of Wisconsin, and another decade scripting and producing instructional television series for the Wisconsin Educational Communications Board/Wisconsin Public Television. These experiences helped provide the foundation for her current full-time job as a self-employed writer. Lists of Kathleen's writings, video works, and awards she has earned can be found further down this page. Additional details about Kathleen can be found on her About Me page and on the pages below. The photos above should be credited to Kay Klubertanz. 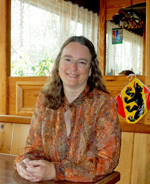 Kathleen is the author of the following published books. One non-fiction history about Wisconsin immigrants Wisconsin Historical Society Press. For details about an individual book, please click on its title below. Portrait photos above should be credited to Geri Gerrold. Kathleen's involvement in video production is divided into two parts: before and after becoming a full-time, self-employed author. As the Co-owner of Kathleen Ernst, LLC, she had the following roles in these videos. 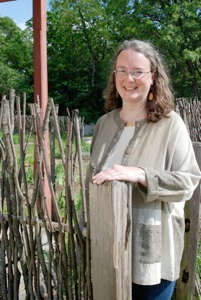 Old World Memories - Take a personal tour of Old World Wisconsin with Kathleen as she explains how this real outdoor ethnic history museum became the fictional setting for her first adult mystery novel, Old World Murder. Script by Kathleen Ernst, Videography by Scott Meeker, and Edited by Tom Micksch. Copyright Kathleen Ernst, LLC 2013. Handwork - Since so many 19th-century women left no written records behind, Kathleen has long been fascinated by the remnants of their lives that do remain. After writing a poem entitled Handword Kathleen created a video version of it. Script, Videography and Editing by Kathleen Ernst. Copyright Kathleen Ernst, LLC 2011. Migration Of A Tradition - What's an ale bowl? Join Kathleen at Vesterheim Norwegian-American Museum as she researches ale bowls while writing Old World Murder. Script by Kathleen Ernst, Videography and Editing by Scott Meeker. Copyright 2010 by Kathleen Ernst. Winter Visit To Vesterheim - While doing developing her Chloe Ellefson Historic Sites mystery series Kathleen visited the Vesterheim Museum in Deocrah IA to do research on Chloe's Norwegian-American heritage. Script by Kathleen Ernst, Videography and Editing by Scott Meeker. Copyright 2010 by Kathleen Ernst. 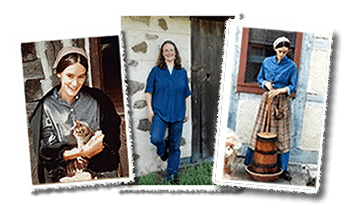 As a Project Director, Scriptwriter, and Teacher Guide Co-Author, Kathleen facilitated the development and production of the following instructional videos for Wisconsin Public Television. 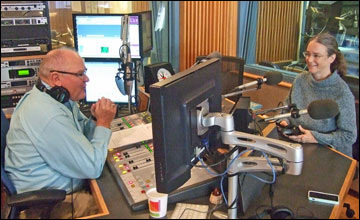 Cultural Horizons - North American version of Cultural Horizons of Wisconsin developed in partnership with public broadcasting stations in Atlanta, Colorado, Oregon, and in Quebec, Canada. Cultural Horizons of Wisconsin - A series of ten 20-minute shows for grades 4 through 6, fosters respect for and appreciation of the human diversity that enriches Wisconsin. Exploring Wisconsin Our Home - These fourteen 15-minute shows incorporate five geographic themes to depict the state’s history as well as its cultural and economic bounty, helping students in grade 4 to understand the interactions between physical geography and human activity. Investigating Wisconsin History - History comes alive for fourth grade-students in these twelve 15-minute programs as they become detectives searching for evidence about the state’s past and solving "history mysteries" of their own. New Dawn of Tradition: A Wisconsin Powwow - A 15-minute video showcasing an aspect of Native American culture that embraces many Indian nations, tribes, and bands. New Dawn of Tradition introduces fourth- and fifth-graders to the powwow as a cultural celebration. Kathleen has also had articles, essays, and poems published in America's Civil War, Appalachian Heritage, Boundary Waters Journal, Civil War Times Illustrated, Cobblestone, Columbiad, Fox Cry Review, Perceptions Journal, Quilters' Newsletter Magazine, Wilderness, Wisconsin Trails, and other publications.